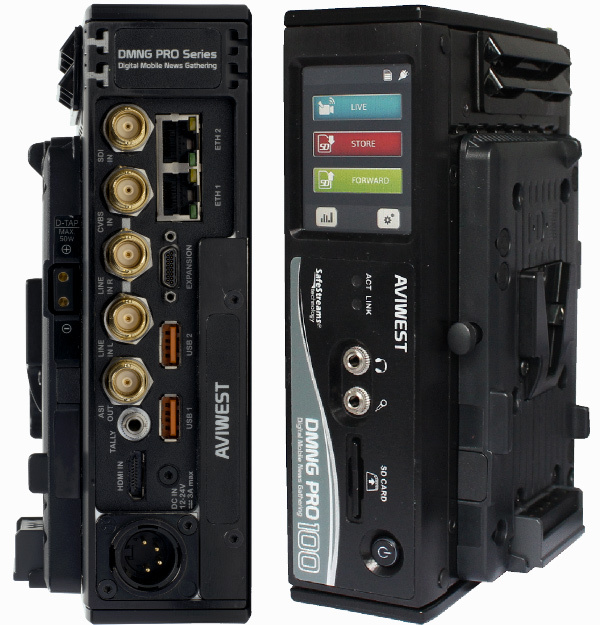 The AVIWEST DMNG PRO100 is a small portable and powerful video encoder mainly designed for streaming over LAN/WAN and satellite (BGAN, KA). DMNG PRO systems are deployed worldwide and used by number of international, national and local TV channels and news agencies on a daily basis. (BGAN, Thuraya, KA), the unit also features 2 cellular connections (two USB interfaces for external USB modems), a built-in Wi-Fi modem, and 2 best-in-class H.264 video encoders. Weighing less than 1Kg, the portable DMNG PRO100 can be easily connected to any professional video source (e.g., SD/HD SDI, analog [BNC] and HDMI) and mounted to cameras via V-Mount, Gold Mount, or PAG plates. By providing broadcasters with a video uplink system that is easy to transport, the DMNG PRO100 speeds up newsgathering operations. The DMNG PRO100 is designed to automatically detect real-time network capabilities. Through a user-friendly and intuitive touch-screen interface, the DMNG PRO100 allows any on-the-go media professional to easily configure and operate the system as well as communicate with the studio through the IFB return channel. The units can also be controlled by the receiver (DMNG Studio), the Management System (DMNG Manager), the DMNG Remote smartphone application or any device connected to the unit though the network. 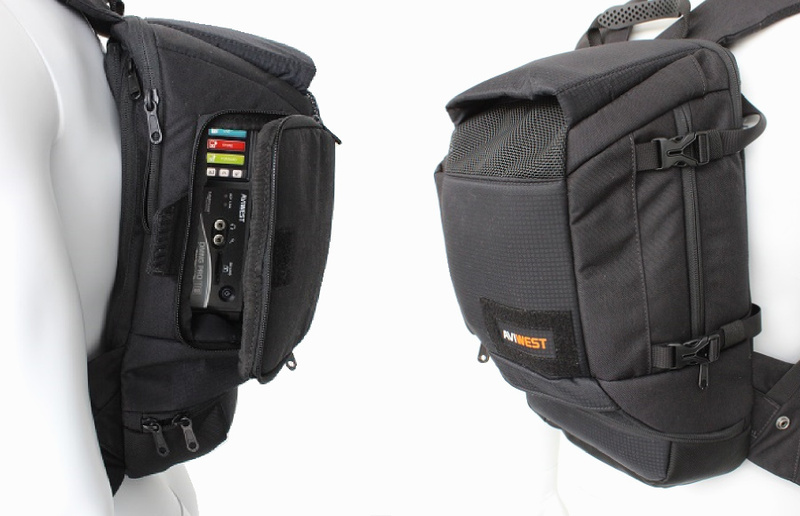 The DMNG PRO100 is compatible with the major portable satellite uplink solutions such as Inmarsat BGAN, Thuraya or KA band. It can also feed any kind of satellite modulator thanks to its MPEG-2 TS ASI output. The DMNG PRO100 can stream over KA band and use cellular links as back-up or complementary connection. It enables starting streaming a live over cellular connections while driving to location, before switching to KA band once the satellite dish is pointed. This bonding mode also ensures the transmission reliability when the performance of the KA band decreases, particulary in case of bad weather conditions or of drop in bandwidth due to congested network. The DMNG PRO100 system supports the needed protocols to stream live high definition video directly to the Web or to any CDN (Content Delivery Network) or OVP (Online Video Platform). The DMNG PRO100 has an internal Wi-Fi modem and 2 USB ports to connect 2 external 3G/4G USB modems to stream a live video or forward files over bonded wireless networks.